A half-price ticket offer for children aged eight to 16 is now available for Parade & The Velvet Gentleman, which interprets a 1917 classic with contemporary storytelling techniques, technology, and beautiful choreography. The ballet will be performed on July 27 at the Manoel Theatre as part of the Valletta 2018 programme. 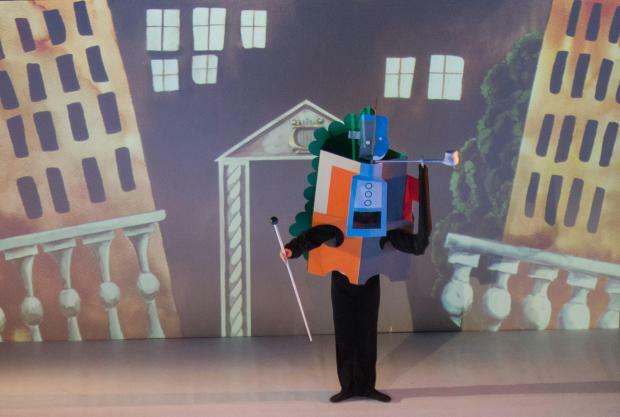 The dynamic performance, which is a reworking of the iconic ballet Parade that featured music by Erik Satie and costume design and scenography by Pablo Picasso, will use contemporary storytelling techniques and technology such as stop motion animation, puppetry and projection dancing to embellish the stunning choreography, under the artistic direction of Ruben Zahra. “I have always been a fan of Satie’s music, but I realised that many people were unaware of this gem of a ballet,” Zahra said, when asked what inspired him to develop this unique piece. While this family-friendly ballet has been crafted to delight audiences of all ages, the special offer for those between the ages of eight and 16 will make it extra special. For anyone within this age bracket, the ticket price to watch this exquisite show is just €5. Parade & The Velvet Gentleman featured as part of the Żigużajg Children’s Festival in 2017. Returning now for this performance at Malta’s national theatre, the enhanced production features Picasso-inspired costumes by Ritienne Zammit, stop-motion animation by Christ Scicluna, choreography and dancing by Diane Portelli and Dorian Mallia of Moveo Dance Company, masks and puppets by Charles Bezzina, projection dance sequences by Maka Visuals, and a paper cinema by Trevor Zahra.